Here you can browse my pages and should you be interested or require any information please do not hesitate to contact me. You can e-mail me with your details and I will reply to you as quickly as possible. Thank you for visiting and I hope to hear from you soon. Based in Lancashire, Lowri primarily covers venues in the North West. Just a quick note to say a huge thank you for playing at our wedding. We were over the moon with it and everybody commented on how lovely it was! 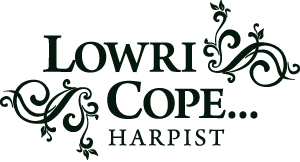 Copyright © 2015 Lowri Cope.